Ever have your expectations exceeded by a health care provider? You are not alone. All across the country health care providers exceed the expectations of their patients, caregivers, and visitors. 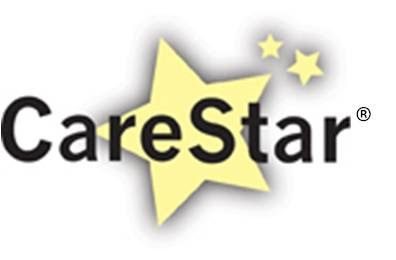 Check out these CareStars and if you have had any experience with a CareStar- take a moment and recognize them today by taking a survey on WhereToFindCare.com. Dr. Brandon Poe in Yazoo City, Mississippi says :I think Dr. Poe, Ashley, and Tracey are all 3 carestars. They know perfectly how to give the massage part of the therapy. All 3 are very caring and compassionate people. I would never go anywhere else." Nabil Fakih, Dearborn Heights Pharmacy, Michigan says" I had a prescription for more than 1 week I called so many pharmacies and promised to get it the second day, all liars. Finally my friend told me about Dearborn heights pharmacy , i called him Wednesday and he promised me that he'll have my medication next day. Nabil Fakih the pharmacist took my phone number and here we go, Thursday morning he called me and told me that my medication is ready, he even offered me free delivery. Talking about the price he was about 40 % less than the rest of the (pharmacies)." Dr. Jaina Amin in Cleveland, Ohio said "She has taught me many coping skills and helped me develop the ability to not only live life without constant anxiety but to enjoy life. I will be forever grateful to her"
Dr. Mary Taylor in Wake Forest, North Carolina said "Dr. Taylor is so personable and exceeded my expectations in her true care and compassion for me and my family. She is always willing to take the time necessary to help me and answer any of my questions. It is obvious that she loves being a Chiropractor and gives all the glory to God." Dr. Charles Rogers, Bogalusa, Louisiana said "Dr. Charles Rogers goes beyond the call of duty for his patients. I can recall having a boil lanced that had acquired a staph infection. Dr. Rogers came to my house daily to clean and dress my wound plus went and purchased all of the needed supplies. He did this in my home so thst I wouldn't have to leave my home. No other doctor would've done that. And he did not accept any rembursement for the supplies he purchased nor charged me for his home visit." I only find a good care at my doctor Howard wright and my pharmacist Nabil Fakih at dearborn heights pharmacy.